“Alice in Wunder Land: in pursuit of the exotic” is a site-specific group exhibition curated by John Kenneth Paranada and Paz Ponce. The exhibition space –a 2 x 3 x 1.80 m plastic cube in a shape of a greenhouse– will be displaying thirty artworks from twelve international artists. In this frame, this project aims to present miniature exotic objects mimicking an actual Wunderkammer establishing a parallelism with the idea of Berlin as a cabinet of curiosities itself. A collage of different ethnicities and cultural backgrounds. A juxtaposition of elements where Berlin plays a connecting role. In this light, Berlin stands as the last realm of the Exotic in contemporary Europe. 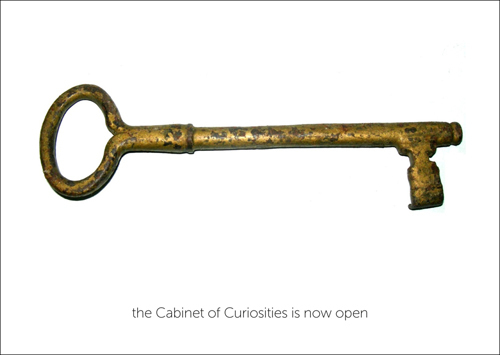 Ostensibly a European phenomenon from the 16th–17th Century, Wonder rooms or cabinet of curiosities started as the private collections of wealthy and educated individuals, housing rare or curious natural objects and artifacts linked by their exoticism. Public access was often only possible for the privileged and the respectable, emphasizing the secluded nature of the place. Display within the Wunderkammern “provided the viewer with a high density of objects designed to be seen holistically within the space”. It was a form of spectacle, a microcosm, a theater of the world, in other words: a mirror of the world we live in. within the scope of the Rationalism and its taxonomy fever that the distinction between culture and nature will be stated, becoming a sign of how human beings collected knowledge and objects to document the memory of the world. As a consequence this began to be the aesthetic archive of future art institutions coupled with the promise of production of public exchange of the exotic and the formation of the self–imagining of the integral element in the constitution of the bourgeoise identity. By placing this contemporary cabinet of curiosities into the public sphere it generates a critical dialogue in terms of the democratization of art to the general public. Moreover, this also alludes to the dichotomy of interior versus the exterior, private opposed to public property and between the space of the subject and the space of the social. Alice is a place wherein this conflicts and tensions will converge thereby creating a fantastic yet fetishistic reverie. Alice will be place in the heart of the Kulturforum (a place for cultural exchange located in the core of the touristic route). With this gesture we are extending the narrative of curiosity to the tourists themselves. Putting them in a the same level of the owners and collectors of rarities. The tourist then are invited to partake in the space and contemplate on the objects of desire, wonders, souvenirs and different kinds of fetish all at the same time.